49 pages. Presented by Dr. Eng Aik Hwee. 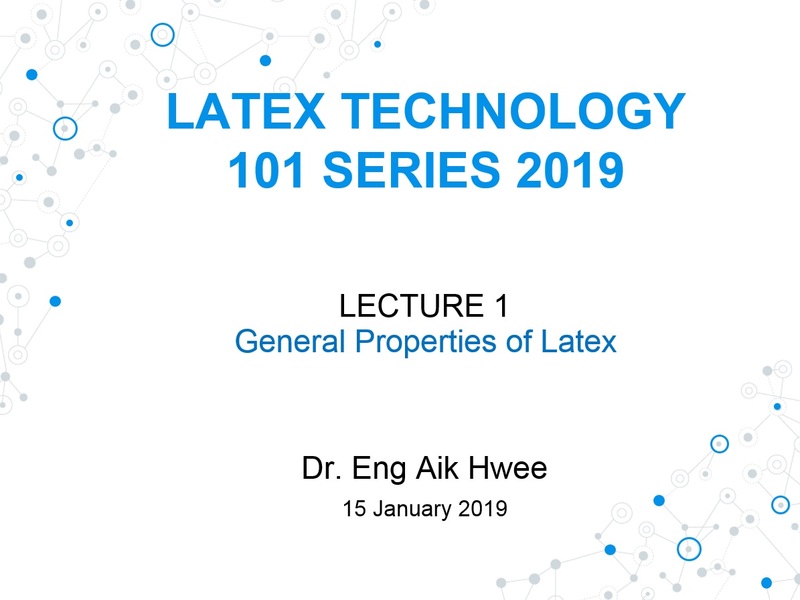 Latex Technology 101 Series 2018 (Lecture 1) was held on 15 January 2019 at MREPC Seminar Hall, Kuala Lumpur. The first lecture of Latex Technology 101 Series outlined the topics of commercial NR and NR latex, latex and rubber properties that includes shape and particle size distributions, compositions of high ammonia latex and synthetic latex, emulsion polymerisation, viscosity and among others. Latex Technology 101 Series aim to provide technical knowledge on latex properties and processing, the technology of latex, techniques and characterizations on converting latex into products and testing procedures to a desired quality.